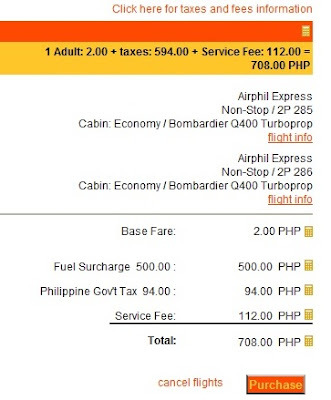 Home Seat Sale Airphil Express Piso Fare! The only thing that makes stingy travelers like me smile is the thought that there would always be that one day when local air transport have low fare promos. Just like today, Airphil Express launches its Piso Fare. This is only available today til tomorrow or until supplies last! 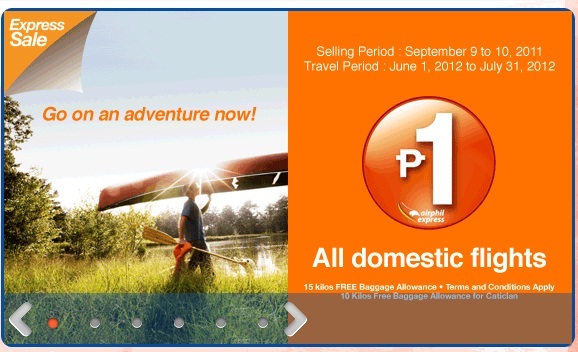 Travel Period between June 1st of 2012 til the 31st of July. 15 kilos FREE Baggage Allowance and 10 kilos FREE if you are planning to go to Boracay for the summer. OMG! BIG savings for a round trip ticket! Go to their website - http://www.airphilexpress.com/ and avail of this promo! @honebabez - choose the express sale.